Our team of building professionals are here to guide you through and manage every stage of your project: from design & planning, through groundworks & construction to decoration & completion. 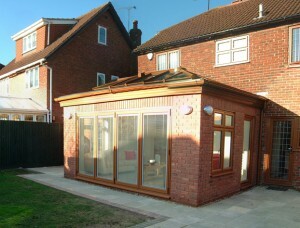 Wren Building Contractors Ltd are high quality builders in Southampton, Hampshire. We deliver a wide range of building projects for both domestic and commercial clients. Our team of professionals are here to guide you through and manage every stage, from designing and planning, through groundworks and construction to decoration and completion. 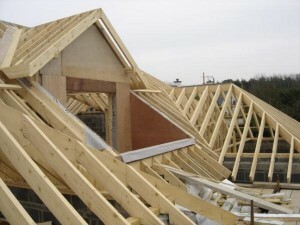 We have specialist expertise in carpentry and brickwork, and our project portfolio includes new builds, timber frame buildings, home extensions, loft conversions, kitchens, bathrooms, general renovations, and packages of carpentry, brickwork and groundworks for domestic and commercial buildings. We aim to be recognised as the best building contractor in Southampton and the surrounding areas. To make this happen we take our commitment to quality workmanship and customer service extremely seriously. We promise to take the time to understand each project requirement in detail at the outset, however large or small so that we can deliver the best possible result on time and on budget. Call us now on 01489 690070 to speak to a friendly expert! Brickwork is one of our core skills. We provide bricklaying packages for both private home and garden projects and large scale commercial builds. A successful project always starts with solid foundations. 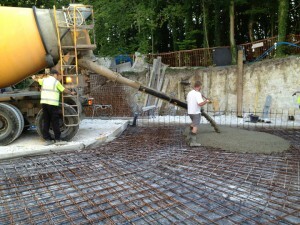 Our specialist groundwork team provide foundation, drainage and landscaping services.